Winning at Monopoly requires having a little bit of luck, making the most of your luck and applying certain rules – such as buying as much property as possible, not spending all you cash (having some savings) and negotiating to get a full set of properties as soon as you can. Building wealth is no different. You can win at the game of building personal wealth by applying a set of proven rules: the 8 Golden Rules. In Investopoly, Stuart Wemyss explains the rules he has formulated and refined over two decades of practice, observation and experience. They are not just theory, they are rooted in simple maths, academic studies and/or common sense. They are tested and have been proven to work. They are the rules of the investment game. If you are looking to build wealth that will ensure you are financially secure then this is the book for you. Stuart possesses the rare skill of being able to make financial planning interesting. In this engaging and informative book, he gives sound, easy-to-understand information and encouragement to readers to help them with their planning, saving and investing for a comfortable lifestyle in retirement. 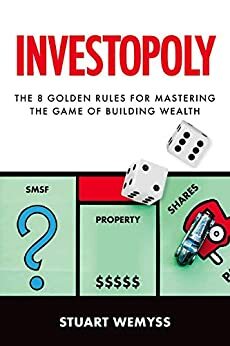 The Future of Property Investing in Australia: Don't Risk Buying Real Estate Before You Read This Book!